Can Christie’s master the art of brokerage? 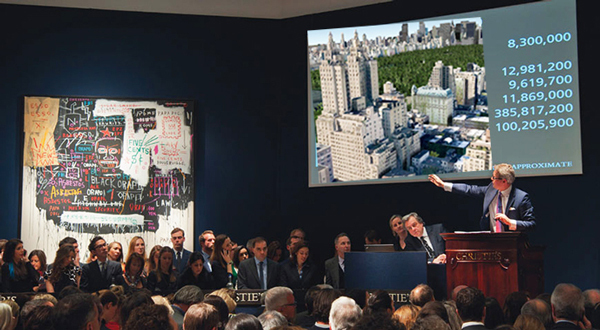 Can Christie’s leverage its auction house cachet to build a brokerage brand in NYC? When the heads of 140 Christie’s-affiliated brokerages converged in April on London’s Savoy Hotel for the auction house’s annual real estate networking event, the message from its top brass was clear: Despite messy splits with some longtime partners, Christie’s had no plans to get into the brokerage game. Christie’s presence in New York’s property market for the last 30 years had been through an affiliation with Brown Harris Stevens, the brokerage that most evokes old-money New York. But less than three months later, Christie’s abruptly terminated that relationship and decided to go it alone here, despite assurances that it wouldn’t go head-to-head against the firm. “They have now broken that promise,” BHS president Hall Willkie told The Real Deal. Through its affiliates, Christie’s sold $115 billion worth of real estate globally last year. But skeptics think it’ll be hard-pressed to replicate that success on its own in New York, given the intense competition among the city’s top firms and a tricky time in the luxury property market. Further, the path from buying art to buying real estate — which has always been somewhat murky — has thrust the auction house model into the spotlight, and not in a good way. Former affiliates said Christie’s move into brokerage coincides with recent efforts to make more money from firms that license its name, in some cases increasing fees fivefold. That prompted firms to evaluate whether the association was worth all that money. Since last year, nine firms have dropped their affiliation with the auction house. The three largest — San Francisco’s Pacific Union, Westchester’s Houlihan Lawrence and Colorado’s Howard Hanna — collectively sold more than $33 billion worth of real estate last year, according to published reports. “The reality is, they’re not delivering enough value to justify the rates,” said Chris Meyers, president of Houlihan Lawrence, which was bought by Warren Buffet’s HomeServices of America in January. But Meyers said Christie’s accounted for just two or three sales a year — out of about 9,000. “I think Christie’s has overestimated the value that they bring to the brokerage affiliates,” he said, and added the company is “overplaying its hand” in New York City. While Christie’s doesn’t disclose its fees, a lawsuit filed in California last year by Pacific Union — in which the firm alleged Christie’s breached the terms of its affiliate agreement — offers a glimpse at how much it costs to use its name. According to the suit, which was later settled, Pacific Union paid Christie’s an annual fee of $210,000 in 2011, its first year as an affiliate. The brokerage was also on the hook for a slew of other fees and agreed to participate in two “bespoke” campaigns in which Christie’s created a custom marketing campaign for an exclusive listing. Christie’s earns 25 to 50 percent of the commission for such campaigns, according to court documents. But Pacific Union’s CEO Mark McLaughlin said when Christie’s tried to raise rates recently, it wanted fees amounting to roughly 30 percent of the firm’s bottom line. Pacific Union sold $10.5 billion worth of real estate in 2016. “I don’t know what goes on in their conference room, but the fee structure is so imposing that either they don’t understand the business or they want to drive us out,” McLaughlin said. In New York, of course, everything costs more – sources said BHS had been paying Christie’s millions of dollars a year for the affiliation, though brokers were reluctant to offer up exclusives to be marketed via the “bespoke” program. In a twist, William Zeckendorf, co-chairman of BHS parent company Terra Holdings, sits on the board of Christie’s. He declined to comment. Conn joined Christie’s in 2014 from Brookfield Asset Management. He said he began thinking of the auction house operating a wholly-owned brokerage the following year, during Christie’s spring sale, which netted $1.7 billion in art deals. “It’s a little-known fact that previews are open to the public, and it’s some of the most incredible art you’ve ever seen. You can walk up to it, poke it, check it,” he said. Going from an auction house to a real estate brokerage as a natural step, according to Conn, who is betting that the firm’s art-shopping clients will appreciate an in-house brokerage more than a licensee – here anyway. 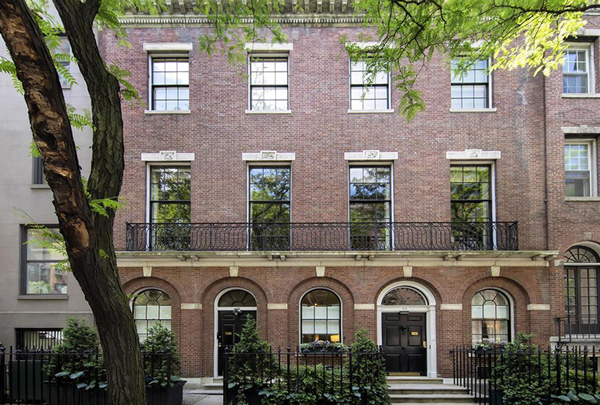 Or, that Christie’s — which was tapped to sell the personal art collection of Peggy and David Rockefeller — would also get the listing for the late banker and philanthropist’s mansion at 146 East 65th Street. The townhouse, asking $32.5 million, hit the market last week with Brown Harris Stevens’ Mary Rutherford, Paula Del Nunzio and Leslie Coleman. But not everyone agrees that’s enough. Similarly, McLaughlin attributed four of Pacific Union’s 6,000 deals last year to Christie’s. “They will have the cache of the auction house and brand recognition, which is a big and important luxury brand, but I don’t know how this is going to play out,” said Leonard Steinberg, president of Compass. Others noted that Christie’s chief rival Sotheby’s ran its own brokerage for decades as a perk for clients, but ultimately sold its real estate division for $100 million to Realogy Holdings, the parent company of the Corcoran Group, in 2004. Instead, Sotheby’s now licenses its name to Realogy to the tune of $9.1 million last year, according to its most recent annual report.